Texas Democratic Senate candidate Beto O’Rourke was speaking before a roomful of voters when he answered a question about why he supported NFL players who protested during the national anthem. 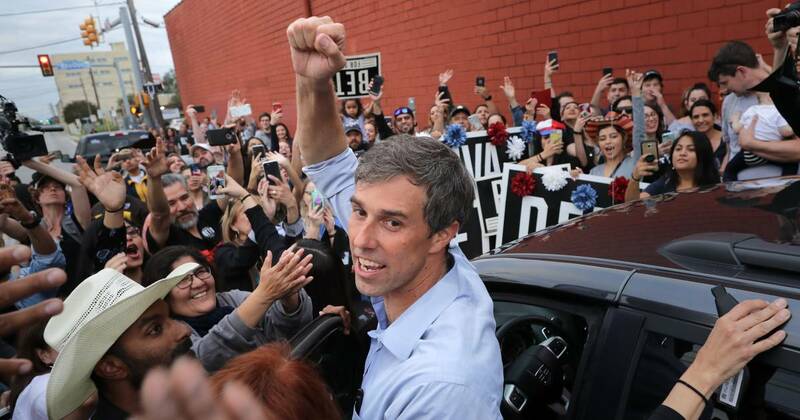 The moment, captured on video and then later set to a gentle backing of piano music and given subtitles, would end up spreading across the internet, bringing national attention to the relatively unknown O’Rourke. The video caught the attention of TV host Ellen Degeneres, who would later have O’Rourke on her show. The video, which has since racked up 67.4 million views on social platforms around the globe, according to online video measurement firm Tubular, was the work of NowThis, a social media-focused, youth-oriented news organization started in 2012. Six years since its start, the company is still focused on making video for social platforms — a proposition that has proven to be challenging territory for media organizations. NowThis has weathered many of the challenges faced by digital media startups even as companies like Facebook, which account for a large part of the company’s audience, change their priorities. The company has around 125 employees and remains focused on producing social media-friendly video, where it often bests traditional media companies. In September, the company’s politics vertical and its flagship NowThis vertical recorded 274 million views and 268 million views respectively on Facebook, taking the No. 2 and 3 spots in social video in the global news and politics category. Daily Mail was number one with 974 million views, ABC News and CBS News came fourth and fifth, according to Tubular Labs data. The company shares up to 100 videos a day across Facebook, Facebook Watch, YouTube, Twitter, Instagram and Snapchat and collects around 2.5 billion views monthly, according to NowThis. NowThis has been particularly active in following Democratic politicians in the runup to the 2018 midterm elections, following O’Rourke as well as Florida gubernatorial candidate Andrew Gillum and Alexandria Ocasio-Cortez, the 29 year-old who is running for Congress in New York’s 14th Congressional District. The company has focused particularly hard on first-time candidates with a series called “Firsts” about 30 candidates who could make history if they win their races. “There are so many first-time candidates and a record breaking number of women,” Stephanopoulos said. NowThis is part of Group Nine Media, a company that owns a variety of digital media companies including animal-focused TheDodo, Thrillist and Discovery Digital Networks’ Seeker, a science-themed destination. The company is run by Chief Executive Officer Ben Lerer, the son of Ken Lerer, the former AOL communications chief who went on to become a successful venture capitalist, investing in The Huffington Post and BuzzFeed. Some digital media companies have struggled in recent years as platforms have shifted priorities making it harder to monetize video. Facebook’s changes to its News Feed punished some NowThis competitors such as Little Things, which shuttered earlier this year. Stephanopoulos said Facebook’s changes were more of a risk for outlets that were not as immersed in Facebook as NowThis. “I think those algorithm changes have a much bigger impact for publishers who play in Facebook a little bit,” he said. Jessica Richards, managing director of North America at marketing agency Socialyse, said NowThis is on her radar as she tracks how young news consumers are using social media. While NowThis may not be a household name, Stephanopoulos said he realized the company was making an impact when a mom stopped the NowThis team after they conducted an interview with former Vice President Joe Biden to ask who they were with. The daughters were embarrassed and hung back until Stephanopoulos revealed they were with NowThis.